Monique Terner received her BS in Anthropology and Philosophy from Boston University, and a dual M.Ed. in Education and Teaching Through the Arts, with an emphasis on inclusive education, from Lesley University in Cambridge Massachusetts. Monique works as a child and family therapist for Wolf Pack Consulting and Therapeutic Services and as a Behavior Consultant with DHS Developmental Disabilities Services, and is currently pursuing a PhD in Clinical Psychology. Monique offers her clients over 20 years of experience working with children, parents and educators in public schools, private school and alternative educational settings. She is a certified YogaCalm® Instructor and Mindfulness Practitioner with Mindful Schools®, offering opportunities for children and adults to experience the health and personal wellness benefits of yoga and mindfulness. As a Master Trainer with the Oregon Registry, Monique offers professional development opportunities for educators. A member of the International Coaching Federation, Monique offers Academic Life Coaching® and Mindfulness to teens and adults. 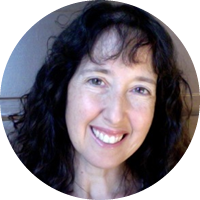 Monique offers consultation and continuing education to professionals interested in learning how to apply Interpersonal Neurobiology, Somatics and Creativity in their work, personal lives, schools and communities. As an advocate for children, Monique has served as an expert witness and is passionate about inclusive education and collaboration for best practices and outcomes. Monique is a contributing author for the book, Face to Face: Cultivating Kids’ Social Lives in the Digital World, a discussion book for parents, community members and professionals who want to make difference in the social lives of our youth today. As an educator and the mother of three kids, Monique is passionate about empowering all kids and adults by offering quality educational opportunities, and supporting kids and families to lead healthy lives, and develop a life-long love of learning and wellness.